Westminster Abbey, London, UK. 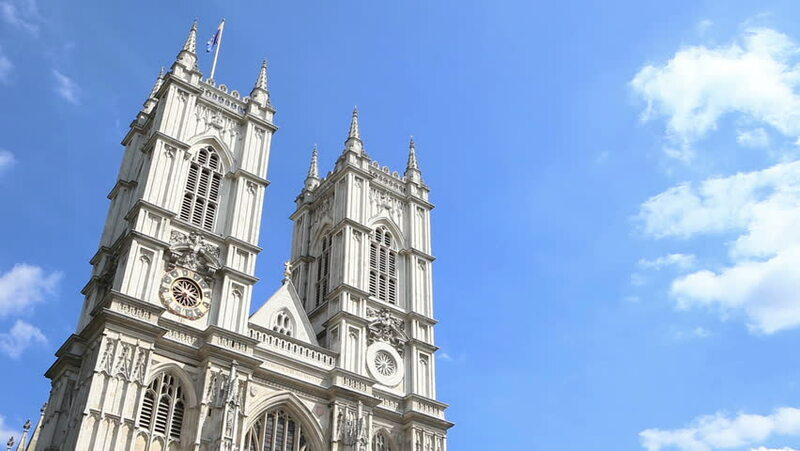 Time lapse, low angle video footage of the façade of the London landmark, Westminster Abbey, standing against blue sky copy space with background fast moving clouds. hd00:17The towers of Westminster Abbey in London England. hd00:14The towers of Westminster Abbey in London England.